A fugitive economic offender is a person who has fled the country to avoid arrest and prosecution for economic offences of Rs 100 crore and above. MUMBAI/NEW DELHI : The long arm of the law seems to be closing in on embattled liquor baron Vijay Mallya, who has fled to the UK hoping to escape legal proceedings against him in India for defaulting on loans of over Rs 9,000 crore, with a Mumbai court on Saturday declaring him a ‘fugitive economic offender’. With this, Mallya has become the first businessman to be charged under the new anti-fraud law, the Fugitive Economic Offenders Act, which came into force in August 2018. While Mallya can challenge Sessions Judge M S Azmi’s order in the High Court, the liquor baron’s plea against being declared a fugitive economic offender is still pending in the Supreme Court. Mallya is expected to use all available legal options, but Saturday’s ruling makes it easier for investigative agencies to confiscate his assets worth around Rs 12,500 crore. The new law allows the confiscation of immovable and movable assets of those declared fugitive offenders irrespective of whether they were purchased with the proceeds of the crime. A fugitive economic offender is a person who has fled the country to avoid arrest and prosecution for economic offences of Rs 100 crore and above. The special court has set February 5 as the date for hearing ED’s plea for the confiscation of assets. 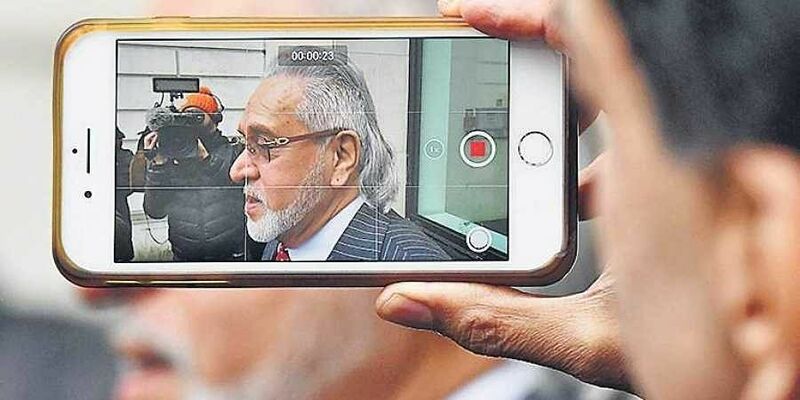 Mallya, who fled to the United Kingdom in 2016 days before his creditors moved the SC, is currently out on bail after a London court ruled in favour of his extradition to India to face trial. Mallya’s assets include properties in Bengaluru and Mumbai, and shares in United Breweries, United Spirits and Mcdowell Holdings. According to legal experts, there is still some way to go until full confiscation, since the courts have to hear petitions from Mallya’s business or property partners. Embattled liquor baron Vijay Mallya is the first person to be declared a fugitive under the new Fugitive Economic Offenders Act. Here’s an explainer on the new law: What is the new law under which Mallya has been declared a fugitive economic offender? The FEO Act, 2018 is meant to prevent loan defaulters from fleeing the country to evade legal action. It came into existence last April. It was aimed at stopping a growing number of high-profile economic offenders feeling the country to avoid legal action. Who is a fugitive economic offender and who can be declared the same under the law? A fugitive economic offender (FEO) is a person against whom an arrest warrant has been issued for his or her involvement in economic offences involving at least Rs 100 crore or more and has left India to avoid criminal prosecution and refuses to return to face the same. Section 2F of FEOA states that those who have travelled outside the country after committing the crime and refuse to appear before the court to face trial, those against whom non-bailable warrants have been issued but because they are outside the country the warrant cannot be executed, can also be declared an FEO under the FEOA. Does the new law make confiscation of property owned by offenders easier? Once the court declares the person a fugitive economic offender, the government can confiscate the person’s property. This law will help the investigating agency confiscate all properties of Mallya. The Act defines ‘benami property’ and assigns it the same meaning as provided under the Prohibition of Benami Property Transactions Act, 1988. How is it more stringent than the earlier law? There is a stringent condition which bars an individual from putting forward or defending any civil claim once he has been declared a fugitive economic offender. Such a provision puts the individual or company in an adverse position as they are barred from defending or maintaining any civil claim which might be different from the proceedings initiated under the FEO Act.